How Much Does Houston Miss TaShawn Thomas and Danuel House? As always, KenPom.com did the heavy lifting on the numbers. Almost two years ago to the day, I penned a column on how much Houston missed its leading scorer, Joseph Young. Young had transferred to Oregon after the school fired his father from the position of Director of Basketball Operations and he is still lighting it up for the Ducks this season. Today I am going to revive the main idea of the column — that is, how much does Houston miss said player — and just plug the newer transfers in. Last season, junior TaShawn Thomas and sophomore Danuel House were far and away the best players on a very mediocre Houston team. Thomas led the team in nearly every category while shooting almost 60 percent from the field, and House was a close second in scoring and rebounding as well as the team’s most versatile two-way player. Unfortunately for Houston, both of those stars are playing college basketball elsewhere this season. Thomas is just across the state border at Oklahoma and House is even closer at Texas A&M. The circumstances surrounding Thomas’ and House’s decisions weren’t nearly as interesting as the ones in Young’s case, even though new coach Kelvin Sampson tried very hard to keep the duo around. But the impact of the loss of the two players is effectively greater because we are taking about two all-league talents instead of one, and because the Cougars may have had an outside shot at the NCAA Tournament this season with them in the lineup. I understand the value of coaches’ speeches and motivational tactics, but don’t put too much stock into rhetoric when it comes to impacting the team’s play on the floor. 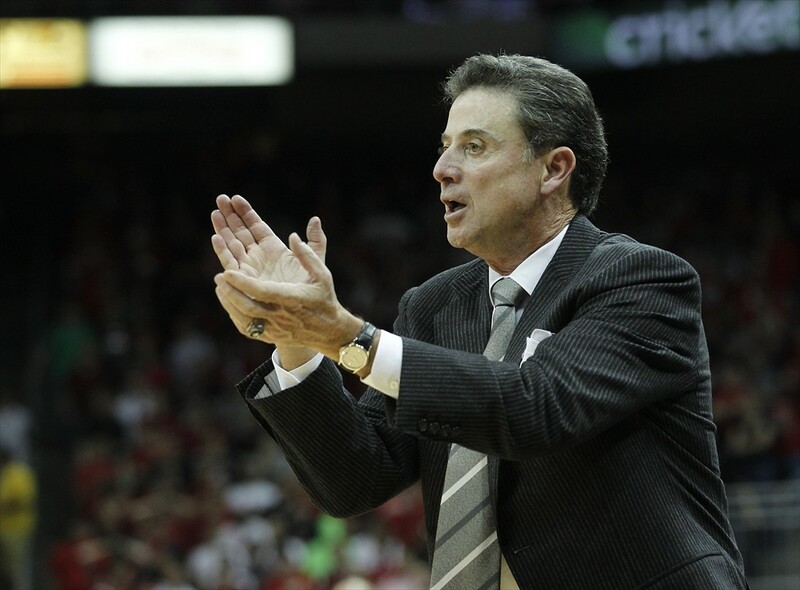 That said, asking his players to stop trying to live up to last year’s team seems like the right message for Rick Pitino to be sending right now. 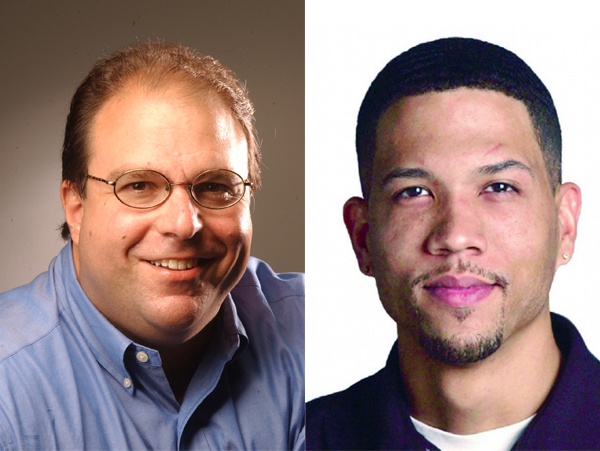 Even we here at the AAC microsite started the season expecting Louisville to look very similar to last year’s team, but it didn’t take long to realize how much the Cardinals would miss Peyton Siva and Gorgui Dieng. The national championship picture is pretty wide open and anyone who says they are confident about their chances is probably saying it through gritted teeth. Pitino is well aware of this, and while the Cardinals have probably dropped out of the conversation altogether with their recent play, Pitino knows there is still major talent on his roster and that in March, anything can happen. If the message gets through to guys like Luke Hancock and Wayne Blackshear and they start to consistently pick up their play, the Cards still have more than a puncher’s chance at repeating. Raise your hand if you saw UConn center Amida Brimah‘s performance against Central Florida coming? After scoring 37 total points in the first 15 games of his career and taking a grand total of three shots in his previous four games, the freshman exploded for 20 points on 8-of-10 shooting while chipping in eight rebounds and five blocks as the Huskies won their first conference game of the season. It might be a little early to say Brimah is “beginning to blossom” considering the small sample size and quality of the opponent, but if Brimah can even contribute a fraction of that performance on a nightly basis, head coach Kevin Ollie would probably be ecstatic. Much has already been made about UConn’s underwhelming frontcourt and Brimah probably has the most upside of anyone in that rotation, but he just needs to learn to stay out of foul trouble and play more consistently. Brimah has been playing basketball for fewer than five years now and his talents are obvious to everybody. He is going to be a really good player down the road; it would just be nice for Ollie and the team if he could start to fulfill that potential a little ahead of schedule. It’s hardly a secret anymore that Ge’Lawn Guyn‘s grasp on the starting point guard role for Cincinnati is in name only, and that freshman Troy Caupain is the better and more trusted player right now. That’s not a knock on Guyn, who is a nice veteran presence to have in the rotation, but it’s more an indication of Caupain’s ability and upside. It should be required to mention that Caupain celebrated his 18th birthday fewer than two months ago and he is playing with poise, shooting the ball extremely well, and showing flashes of vast defensive potential. Many pundits felt that the Bearcats would only be as good as whomever took over for Cashmere Wright this season, and if you have been watching, Caupain is getting better every game and the Bearcats have been improving along with him. Caupain has an NBA frame but is still very obviously growing into his body, so the tough grind of a full season should be somewhat concerning to head coach Mick Cronin. He needs the freshman at his best if Cronin wants to take the Bearcats back to the Sweet Sixteen. Is it too early to start drumming up support for South Florida guard Anthony Collins to get a medical redshirt and retain two years of eligibility? Isn’t there someone who can issue a preemptive strike about the hypocrisy of the NCAA so that Collins can get his year back hassle-free? Injuries have temporarily derailed Collins’ promising career, and although he has played in eight games for the Bulls this season, lingering issues with his knee never allowed him to get back to 100 percent and now he is sidelined indefinitely again. I am sure the NCAA will take a look at the fact that Collins played in eight games after getting cleared by the team, but since the decisions on transfer waivers and redshirts have been so consistently arbitrary, there is no good reason for the NCAA to deny Collins an extra year. It’s not his fault that he had an inflamed bursa sac over the summer and has been forced to deal with continued tendinitis in the same knee. Nobody is trying to take advantage of anyone in this situation and the right thing to is just give him the extra year. All aboard the bandwagon! Houston never looked that good when they were at full strength, so it is incredibly impressive what they have been able to do in their first three conference games without the services of Danuel House or L.J. Rose — a pair of starters and two of the team’s best players. The team is 2-1 in conference play with a one-point loss to unbeaten Cincinnati as its lone blemish and a match-up with Louisville looming on Thursday. There may be good news on the way, though, as both Rose and House are considered “questionable” to return on Thursday and coach James Dickey said he is “more optimistic” that the duo will play. The Cougars travel to the YUM! Center this week, so even with House and Rose at full strength and no rust it will be an uphill battle against the Cardinals; but they may benefit from being thrown to the fire and their return has much greater long-term implications for the team than just Thursday’s game. Rather than cite KenPom.com throughout, just recognize that all of the non-basic statistics used in this piece come from that site. 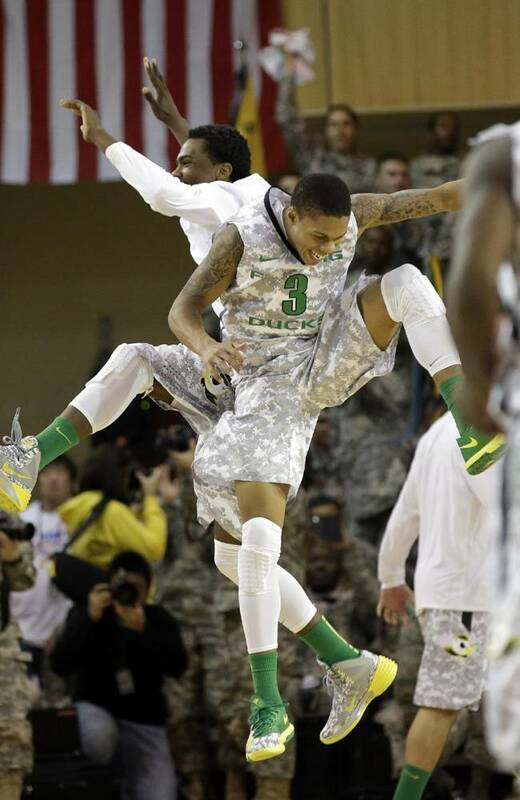 If he hasn’t already, Oregon coach Dana Altman should consider sending Houston coach James Dickey a gift basket or at least a thank you card, because without Dickey’s shortsightedness, the Ducks’ best player of the young season would probably still be playing for the Cougars. If you are a little confused, we are talking about junior shooting guard Joseph Young, who has quickly put himself on the early short list for Pac-12 Player of the Year honors by shooting 54 percent from the floor (including 42.4 percent from three) and averaging 20.3 points per game in the Ducks’ 8-0 start. Young has been the offensive catalyst for Oregon and looks like one of the country’s best and most efficient players, which shouldn’t be all that surprising considering he was much the same last season in Houston. A Houston native and star at nearby Yates High School, Young initially committed to Providence coming out of high school, only to switch his commitment to the hometown school when new coach James Dickey chose to keep his father — Phi Slama Jama legend and former NBA player Michael Young — on staff as the program’s Director of Basketball Operations. The story is actually a bit more complicated than that, but that story has already been fleshed out plenty. Young eventually suited up for Houston at the start of the 2011-12 season and he almost immediately became one of the team’s best players. He finished his freshman campaign as the team’s third-leading scorer, averaging 11.4 points, 3.5 rebounds, and 2.4 assists per game. He raised the bar even further last season when he led the team in scoring at 18.4 points per game while also chipping in 3.6 rebounds and 2.4 assists per game. The Cougars also boasted an exciting crop of freshmen led by Danuel House and Jherrod Stiggers (technically a redshirt freshman) and the thought was that Houston would take a giant step forward this season with Young spearheading the charge. Houston Has Upside. Yes, the Cougars fell apart at the end of the first half and most of the second half, and yes, their defensive performance left a lot to be desired. But that said, Houston looked like a better team than most of the teams surrounding them in KenPom’s latest updated rankings. The Cougars are full of athletes who love to run and have a lot of different individual offensive options behind the spectacular TaShawn Thomas. 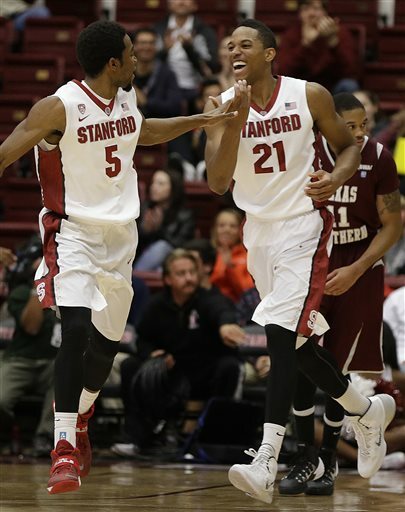 Stanford isn’t a marquee name this season, but the Cardinal are a very good team with legitimate NCAA Tournament aspirations and Houston looked like the better squad for a good portion of the game. Houston’s main problem seems to be maintaining consistency and defensive effort for a full 40 minutes (a hallmark of a young team), and lest we forget, the Cougars boast a rotation that features just two significant upperclassmen. Nobody is saying that Houston showed enough in a losing effort to make the NCAA Tournament, and certainly the schedule gets much more difficult from this point, but there is more than enough talent to surely finish in the top half of the AAC standings this season. What They’ve Done So Far: If you’ve heard much about Stanford this season, it is most likely because they scored 103 points against BYU – and lost. You can probably take away a couple of things from that little blurb, namely that Stanford’s defense isn’t very good but that their offense is. Still, BYU is no joke, so losing to a quality team like that isn’t necessarily a death knell and the Cardinal will have a chance to prove themselves on a national stage this week. Make no mistake, this is not only a talented team but it is also a veteran team with four seniors and three juniors among its nine-man rotation. Still, despite all that experience, none of these guys have yet learned how to win on a regular basis, so until they string together a number of wins, there is plenty of reason to have lingering doubts. First Round Preview: The Legends Classic actually began last week, with Stanford taking care of Texas Southern in a inconsequential (literally of no consequence, as Stanford was going to advance to the semifinals in Brooklyn regardless of the outcome) regional round game. But tonight, the Cardinal will get the elimination portion of the tournament underway when it faces Houston in the nightcap of a pair of games at the Barclays Center. 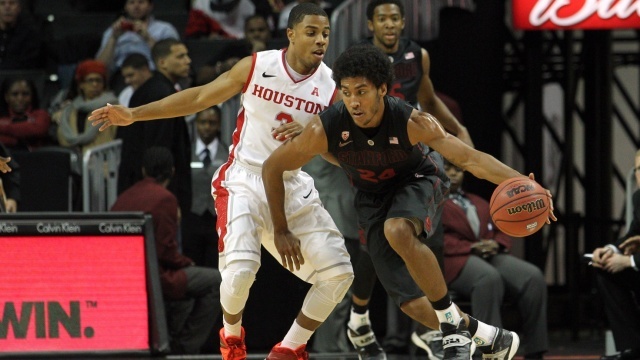 Houston hasn’t lost in five games, but its best win is over a middling Lehigh team. Given that last year’s best player, Joseph Young, is playing for Oregon these days, this is not a team that should give Stanford too much trouble. Still, TaShawn Thomas and Danuel House are talented scorers, and sophomore point guard L.J. Rose – formerly of Baylor – is a quality point guard. It’s possible the Cardinal could draw this team into a shootout and simply outscore them, but Johnny Dawkins needs to make sure his team starts to buy in on the defensive end. Houston’s prospects this season received a boost yesterday after the NCAA cleared sophomore Danrad “Chicken” Knowles to play immediately. A top-60 recruit who signed in the Cougars’ landmark 2012 class with Danuel House, Knowles sat out last season after being declared academically ineligible. As a 6’10” face-up forward, he was noted by recruiting services for his athleticism and offensive versatility, and those attributes should make an immediate impact for a Houston team that lacks elite talent. Knowles could quickly work his way into a complementary starting role this season alongside House, TaShawn Thomas and L.J. Rose. Addressing newly implemented officiating rules, Eddie Jordan used the word “farce” at least three times while describing the current state of college basketball in an interview after Rutgers’ 79-76 loss to UAB on Monday. Rather than objecting specifically to the way his team’s loss was officated, Jordan reportedly took issue with the changes in style of play imposed by the new guidelines, and said he wondered whether fans would lose interest in college hoops as a result. Fouls weren’t the most pressing concern for Jordan’s Scarlet Knights after a frustrating road loss in which they were significantly outrebounded by their first opponent with decent size. Rutgers suffered a minus-27 margin on the boards against UAB, and Jerry Carino of New Jersey Hoops Haven notes that the Knights have been outrebounded 42-25 on the offensive glass through two games. Louisville point guard Chris Jones quietly orchestrated his second consecutive game without a turnover in the Cardinals’ 97-69 win over Hofstra last night. While the return of Chane Behanan and Luke Hancock set the tone and Russ Smith stole the show by lightin up Hofstra’s zone for 30 points, Cardinal Authority’s Jody Demling pointed out that in his first two games with the team, Jones has accumulated 12 assists and zero turnovers in 55 minutes. He put together the best game of his short Louisville career against the hapless CAA visitors, chipping in 20 points (on 54 percent shooting) and four steals to go with his seven assists. As a team, the Cardinals have forced 43 turnovers while committing only eight themselves this season. Central Florida will face its first major challenge when the Knights host Florida State tonight, particularly on the offensive end. Orlando Sentinel writer Paul Tenorio points out that after carving up overmatched Division II Tampa in their season opener, Isaiah Sykes and UCF’s other guards face a much stiffer test breaking down the Seminoles’ interior defense. “Florida State is going to be a tougher team to drive it on… those gaps close quick when you get there,” said head coach Donnie Jones, who acknowledged “we’ve got to really make the extra pass in this game, much more so than we did in the Tampa game.” Jones said that breaking the press and defending in accordance with the new hand-checking rules were also points of emphasis in UCF’s preparation for the Seminoles. Noel’s Commitment Gives Wildcats Top Recruiting Class. 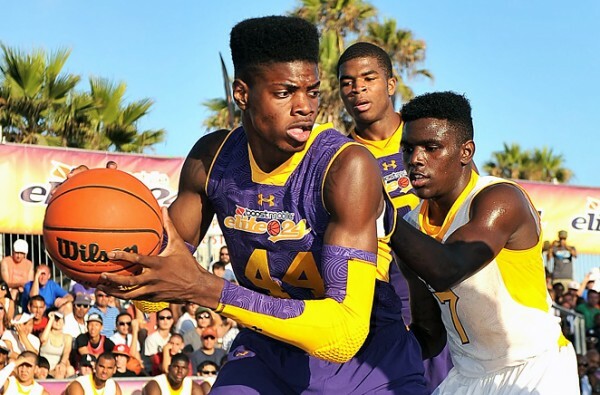 Class of 2012 center Nerlens Noel, the best player in the high school ranks, committed to Kentucky yesterday over Georgetown and Syracuse. Noel joins shooting guard Archie Goodwin, small forward Alex Poythress and center Willie Cauley-Stein to give head coach John Calipari the best recruiting class in the country again. Goodwin and Poythress are both top-15 guys whereas Cauley-Stein is a top-50 recruit. Noel, a 6’11”, 216-pound big man, is the only person on this planet capable of filling Anthony Davis’ shoes at Kentucky and will provide an even better defensive presence and a great target in transition. The Massachusetts native is an excellent finisher and has good explosiveness and athleticism all over the court. He also has done a great job developing his offensive game and has shown an improved 15-foot jumper as well as better interior scoring moves. His rate of development is an extremely good sign for Kentucky fans since he’s already very talented. The good news for Wildcat fans doesn’t stop there since Coach Cal isn’t done yet in the Class of 2012. They’re still after power forward Anthony Bennett, a top-10 recruit, and have a very realistic shot at landing him too. The addition of Bennett would put this Kentucky recruiting class in the conversation of one of the greatest recruiting classes of all-time.